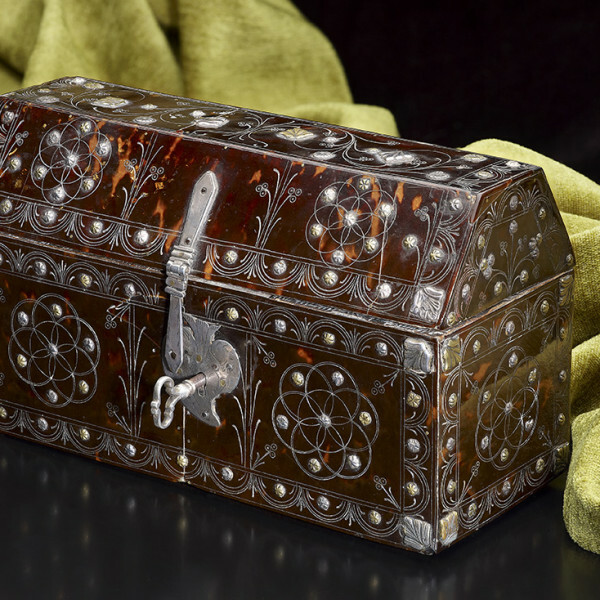 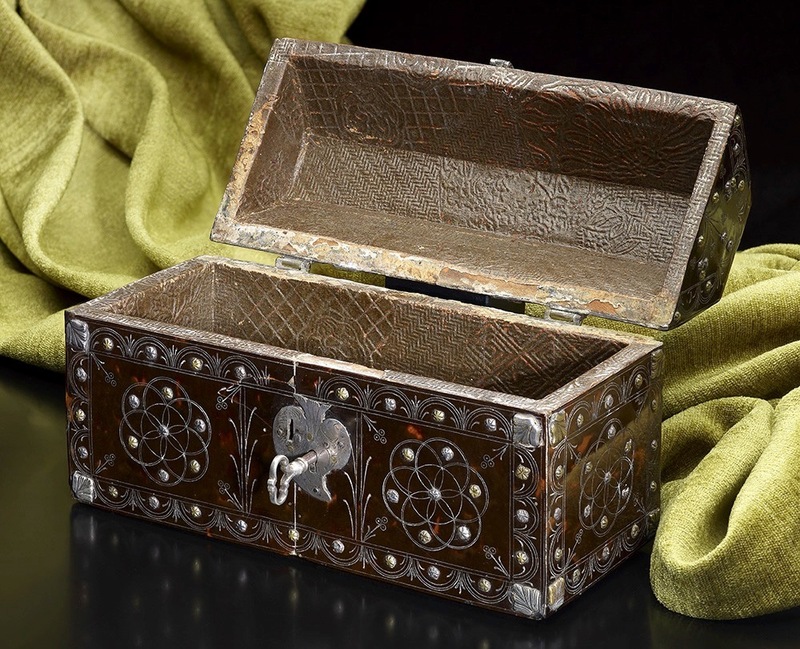 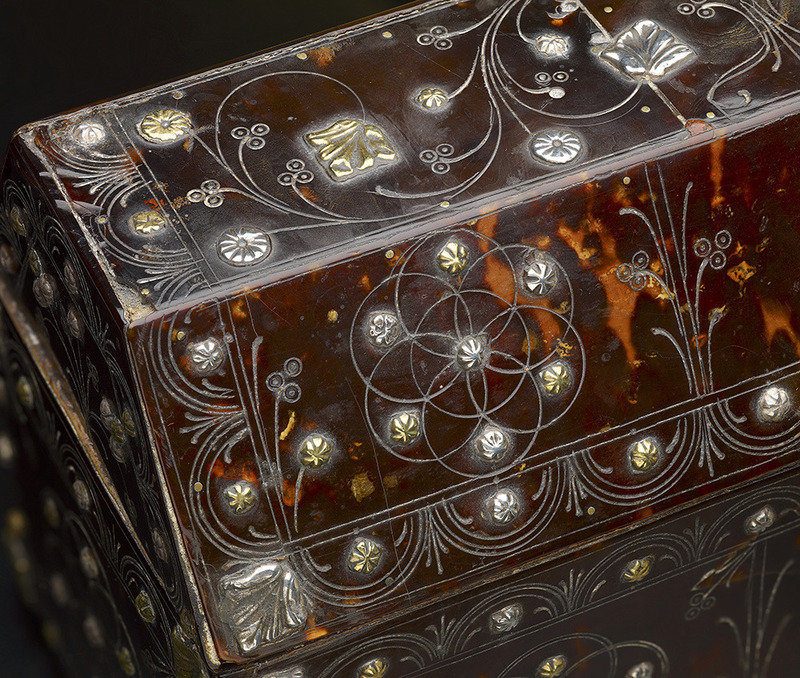 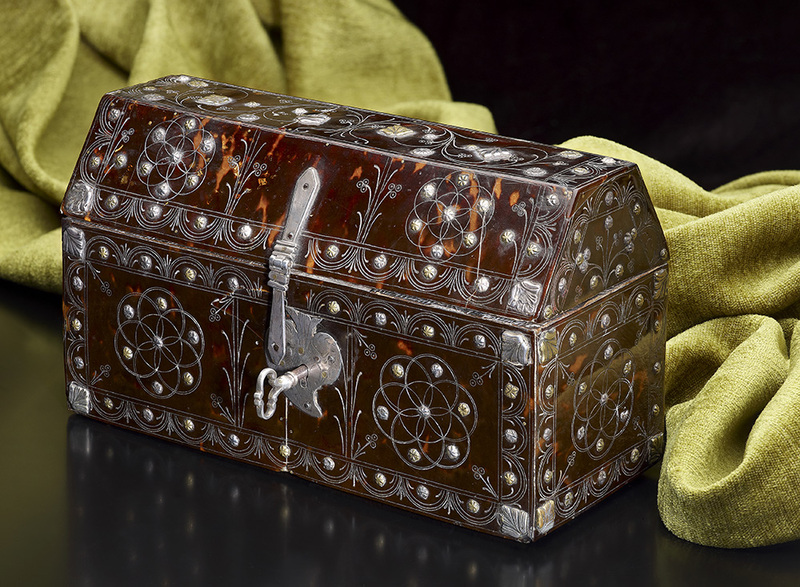 An extremely rare Spanish Colonial Tortoiseshell Casket; late 16th/early 17th Century; approx. 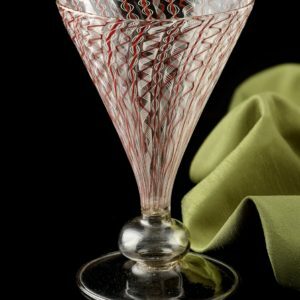 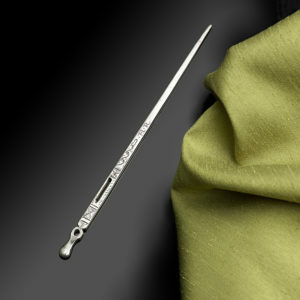 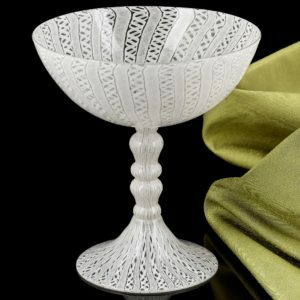 8 1/2 inches wide, 5 inches tall and 3 1/2 inches deep. 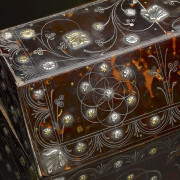 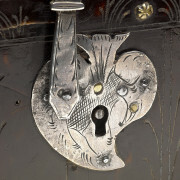 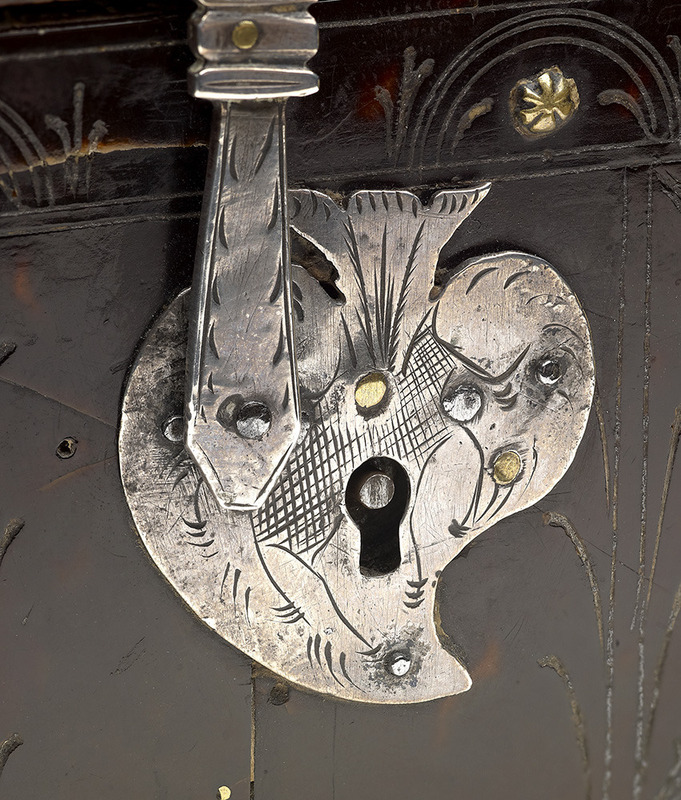 The Casket is intricately decorated all over with floral motifs and highlighted with a pattern of silver and gold studs.